The May 2017 issue of The Southern Yarn is available for your download! Help yourself. Click on the image, or follow this link. 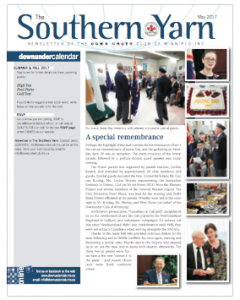 This issue contains details on this year’s Anzac Day ceremony, among other things. This entry was posted in ANZAC, Yarn on May 10, 2017 by Hydesmith.